Professional style of resignation letter formats are of much use, and much valued by those who have been serving an organization professionally, and now while resigning from the organization, they are falling short of words and ideas to form the correct and informative Resignation Letter. It is, after all, a matter of prestige to write a good letter. 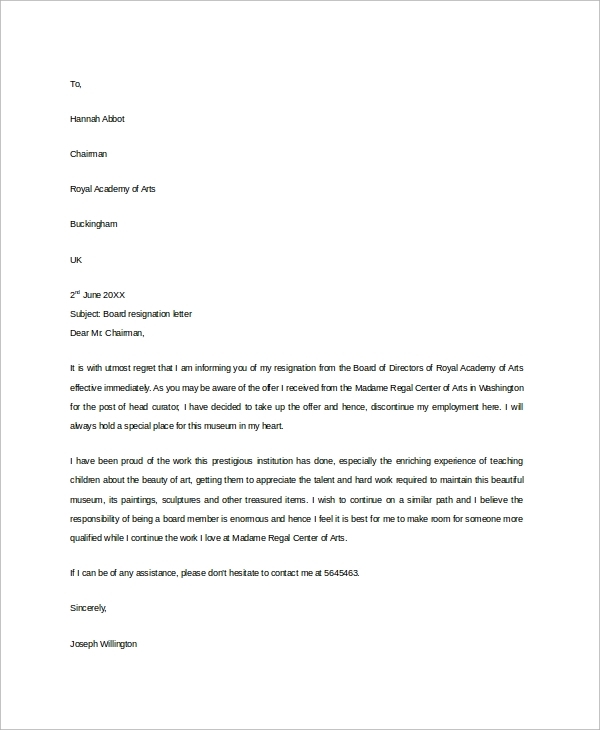 Hence, to help you out in framing a beautiful letter which is both formal and professional, here are some of the finest resignation letter formats made available for download. 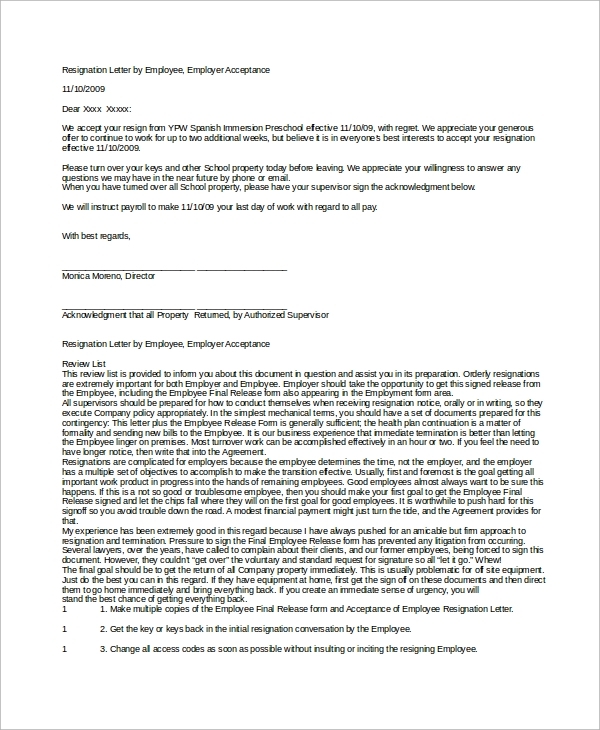 The sample board resignation letter is a format much important for those, who have to put their notice on board. This one will help you in addressing the entire board about your resignation. 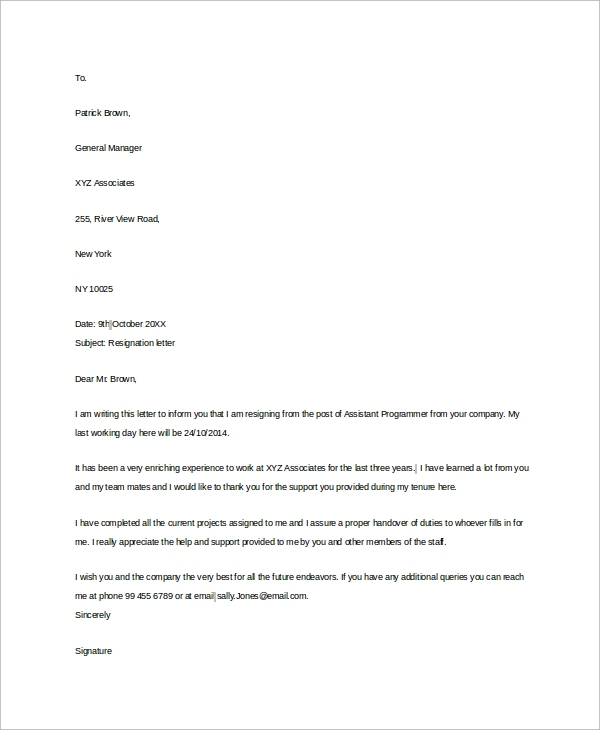 This basic resignation letter style can be used by anyone, and they may further customize them as per their need. 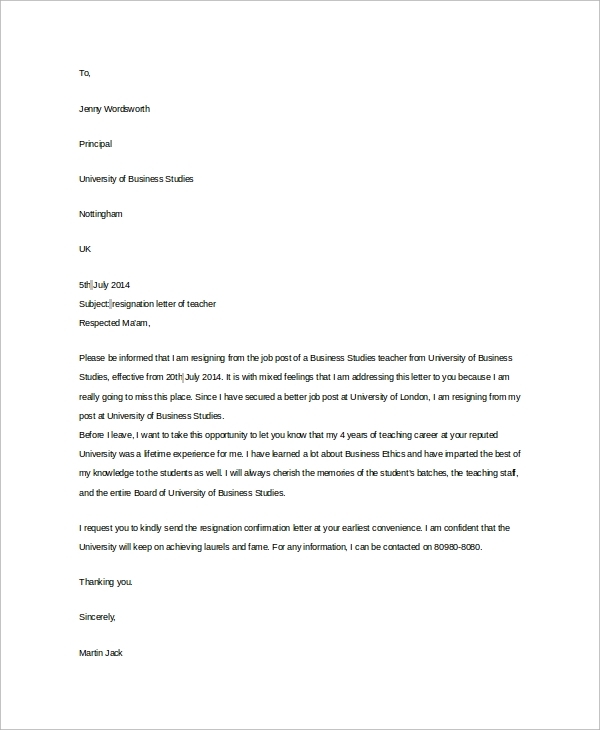 This is the basic idea of a resignation letter body and format. If you want to resign with a two weeks notice period, then this will be the exact format you require. Here, you serve a two weeks notice and notify about it with your reasons for resigning and all. The standard way to resign is suggested here. This is one of the most standard formats which is being used in most organizations. Sometimes, you may be unable to serve any notice period at all. 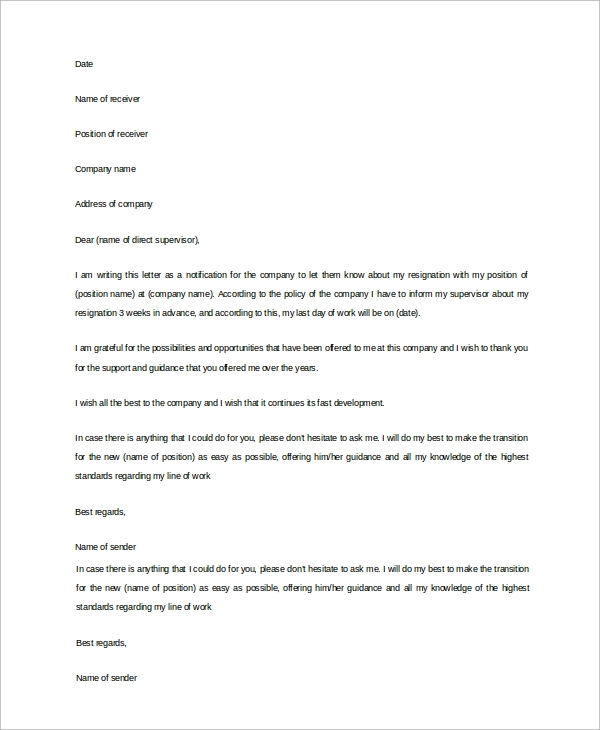 In such cases, you can use this immediate resignation letter format, and it will help you with a format that will help you in resigning from your job with immediate effect. What Is A Resignation Letter Necessary? 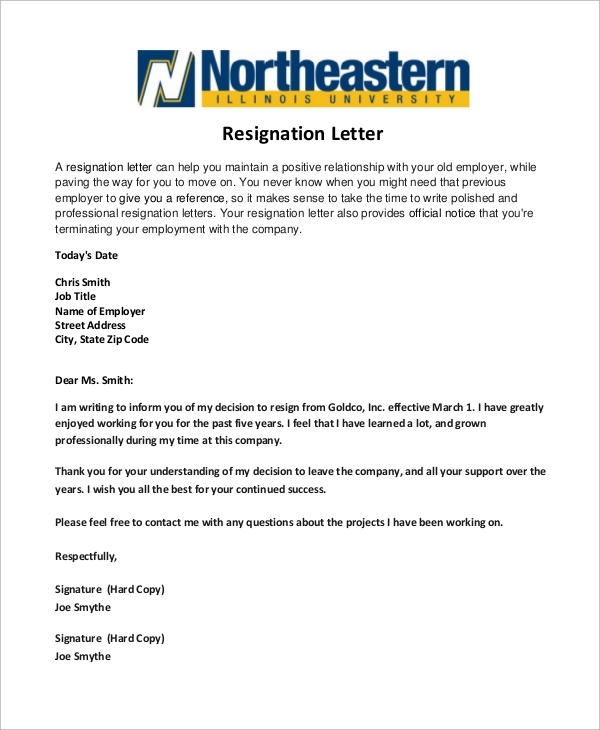 A Resignation Letter is necessary for resigning from a job, and it’s as simple as that. You should only mention the relevant facts and details about your resignation, the reason behind your decision, etc., which you employer needs to know. That is why you need to write a formal letter, and give it to your employer via email or as a printed paper, or in a hand-written format. The resignation letter is not just an intimation of leaving the job but also is one record that both you and the employer can keep as copies to prove later the date of resignation, the tenure of service, etc. While writing a resignation letter, you need to keep in mind, that throughout the letter you need to maintain a professional tone. Even if you are resigning for entirely personal reasons, you are not supposed to get into details of those. Rather, you may say that the reason for your resignation is merely personal. That is the way you say things professionally. Besides mentioning the reason, you also should mention the notice period to be served and how you want the last settlements of salary and other payables to be made. You may also give some feedback about the organization if you feel like. 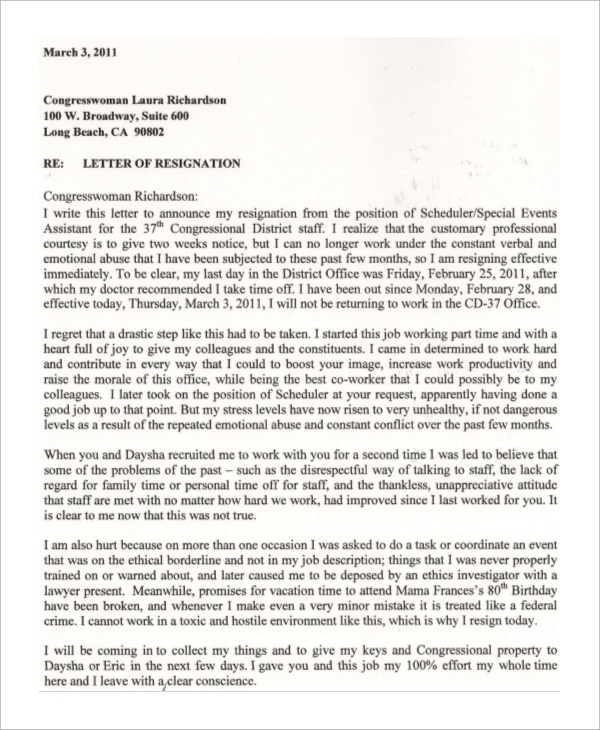 As you are ready to frame your first resignation letter, you may badly hunt for some resignation letter examples. 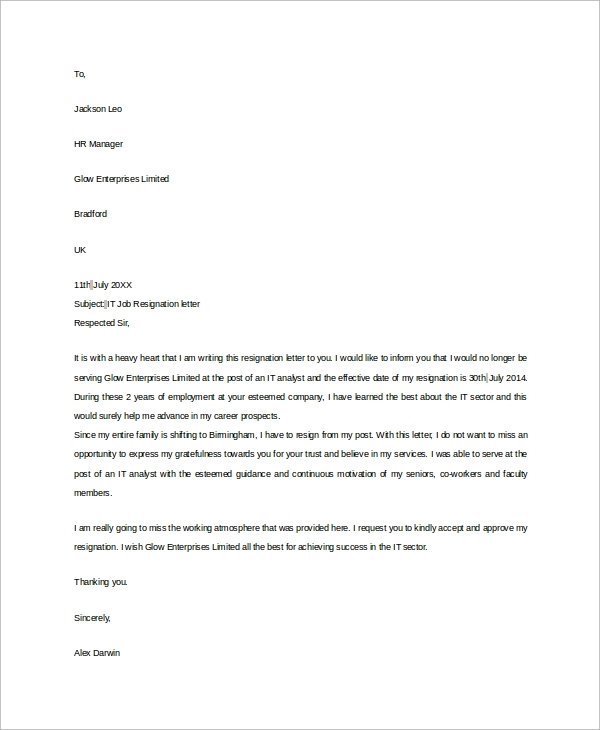 The sample notice period Resignation Letter Examples will come highly helpful on such occasions. 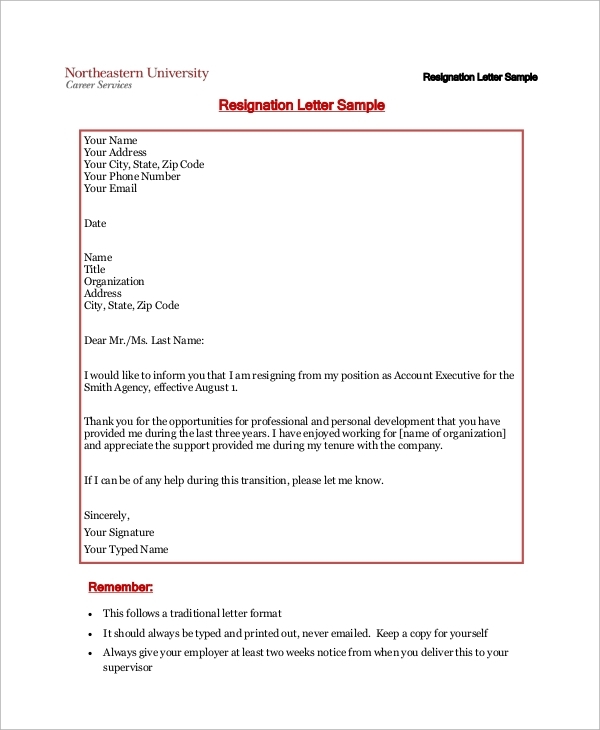 These samples are free to download and use and will give you a comprehensive guideline on writing a professional and standard resignation letter.